Spread 1 tablespoon hummus on each bread slice. 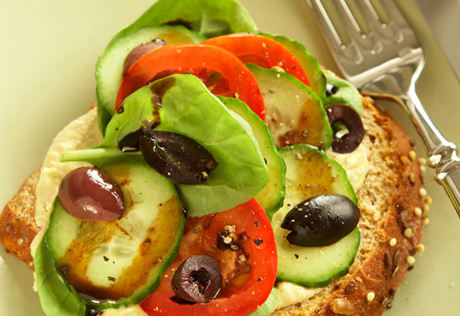 Divide the spinach, cucumber, olives and tomatoes among the bread slices. Season with the black pepper. Drizzle with the vinegar.